Disclaimer: I was NOT required to write about this brand unless the results showed a significant difference to my hair. All opinions are of my own. As you can read in the title, I have FINALLY made a change to my hair! After receiving a collaboration request from NATURIGIN, I went straight onto their homepage to read more about their hair care products, as well as the hair colours they've got to offer. 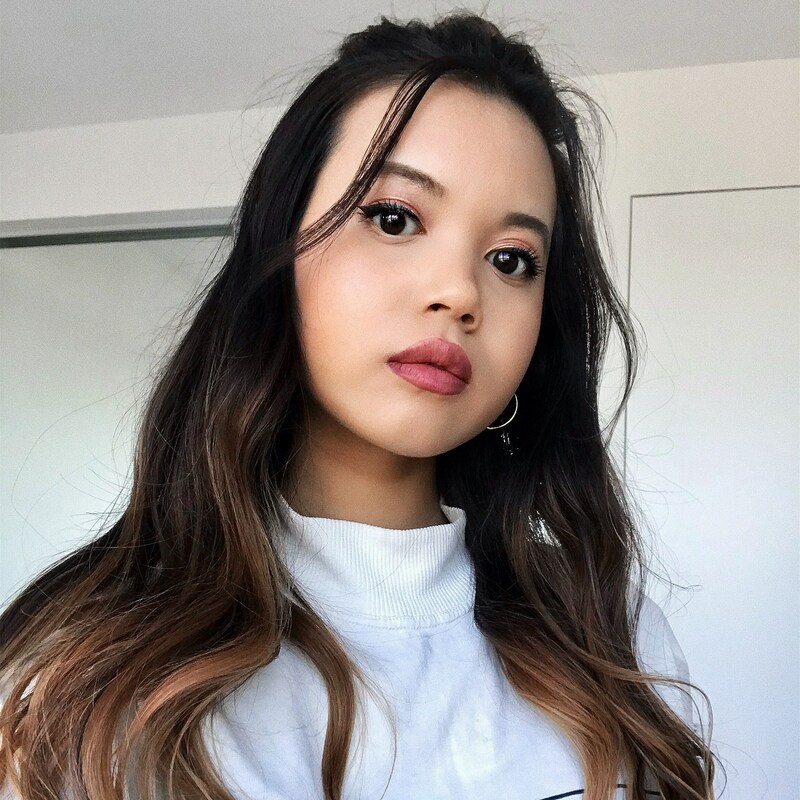 What caught my attention was their all-natural and organic products, which are cruelty free and doesn't contain chemical ingredients that can potentially damage your hair and scalp. However, I was sceptical as to whether or not any of the hair colours would work on me. Especially when even their scale of what result to expect based on different hair colours didn't even include people with black hair. That made my decision of which colour to try out even harder. I just knew that I wanted brown hair, and so I picked a blonde hair colour, hoping it would show at least some result on my hair. Due to my long, dark, and Asian virgin locks, I honestly didn't expect anything at all. I have learned that Asian hair is especially hard to work with because it can't absorb hair dye very well compared to blondes or brunettes. But what can I say? You can see for yourselves from the pictures I've provided, and see a significant difference from how my hair used to look like - dark, sparse and lifeless. Now, my hair looks more voluminous and is definitely softer and fuller, not to mention the fact that the colour I envisioned really showed! The process is rather straight forward. You mix the colouring cream and the activator which is included in the box, shake it, and apply it evenly on you hair. Then you wait for 30 minutes and "rinse it off". I'd say just take a full shower honestly. After dyeing my hair and blow drying it, it feels like I just stepped out of a hair salon. My hair felt smooth and lucious, and I can't stop touching it. PS. 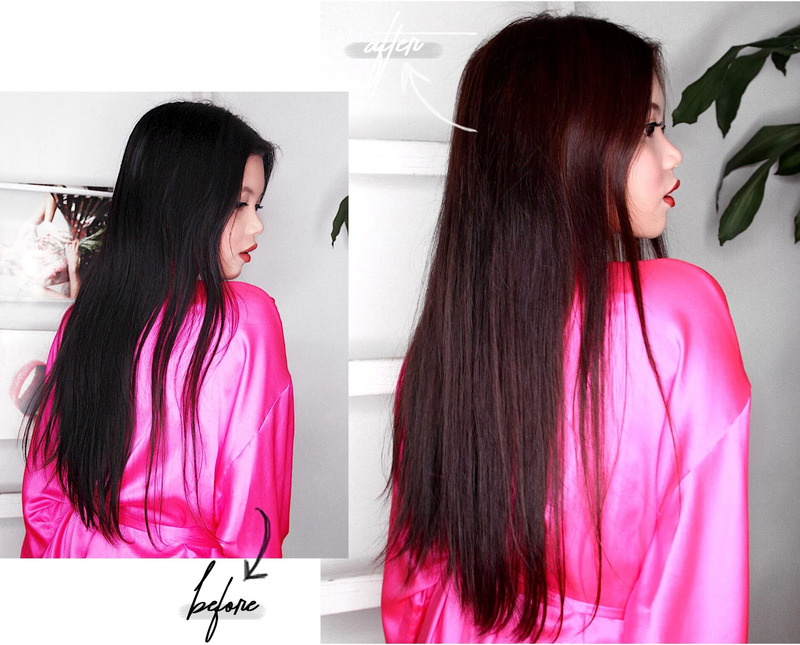 If you have long hair like me, I would recommend to use two boxes of hair dye to achieve the best result. I'm really excited about this new hair colour of mine, and would definitely recommend this brand if you want to try at-home hair colouring! For my Norwegian readers, NATURIGIN hair products can be purchased at VITA and Apotek1.